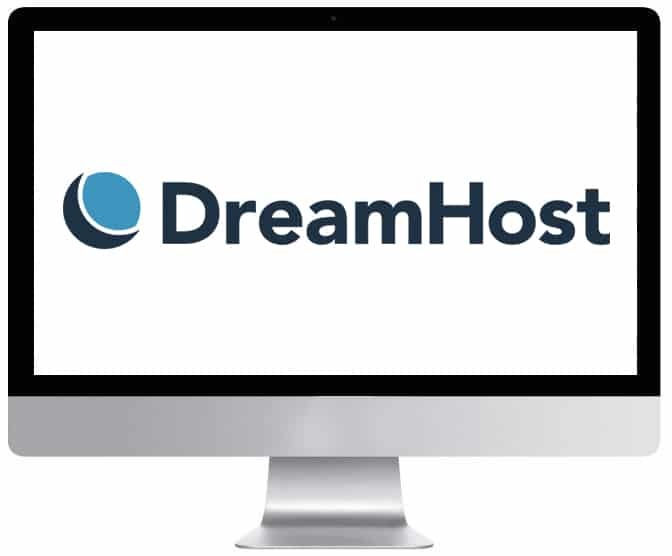 Dreamhost is one of the most recognisable hosting brands in the world today. Not only do they provide their customers with high class shared hosting, but they also have excellent managed WordPress hosting ( DreamPress) as well as offering free SSL certs. Endorsing a business or personal skills through websites is the speediest way to announce your existence. Web hosting services make it possible to design and maintain websites to showcase your products and services to the world through the internet. Selecting the right web hosting service is a proper tough task though. There are many companies in the business claiming to be the best and it’s difficult to find the one that provides the right services and support. DreamHost is one of those time-tested, reliable hosting services that have been around long enough to establish a reputation for being reliable. DreamHost is famous amongst its clients for providing speedy and reliable hosting for websites of any scale. It provides features like unlimited storage, unlimited bandwidth and much more at unbelievable prices. This review will give you an overview of the features they offer, along with the pros and cons to help you find the perfect plan. DreamHost, as the name says is the dream project of its founders. It is an initiative of four college friends who intended to help people through this web hosting platform. They started this company in 1997, and now host over 1,500,000 websites! DreamHost offers a number of features through its various hosting plans aimed at a very broad market. Some of the features provided across all plans include user specific domains, great uptime, and excellent bandwidth. It assures 100% uptime. While this number sounds surreal, it is true. In 10 years, DreamHost servers have only gone down 28 times. The organisation assures 12.5 Mbps speed though there are some discrepancies. However, on its own, this is significantly faster than most other hosting services are. The company provides round the clock customer support through email, online chat, and ticket based support. Their customer support representatives provide appropriate information and address all queries promptly. The website has a knowledge base of help files with detailed instructions to troubleshoot almost any problem you might run into. The website has a list of frequently asked questions as well, which is very helpful. You can raise a support ticket on the website that will be answered within 24-48 hours. If you are looking for perfect speed, then DreamHost is probably one of the best and fastest hosts out there. Powered with SSDs, their servers work considerably faster than those with normal, mechanical hard drives, making them better suited for high traffic websites. Along with SSD storage, it provides support for unlimited domains, email accounts, 24/7 customer support, and a custom-built, web-based control panel. They have split up their plans into five main categories: virtual private servers, dedicated servers, cloud hosting, shared servers, and managed WordPress hosting. Every category has a number of plans to suit the customer’s requirements and price points. Their VPS hosting plans are flexible and scalable to accommodate the varying requirements of a business website as it grows. All their managed VPS plans come with SSD storage, resulting in websites loading a lot faster. All plans come with unlimited bandwidth and unlimited domains. The pricing is based on the RAM and the disk storage. Below is a list of their VPS hosting plans. If you own any high traffic websites and deal with high profile clients, then dedicated servers are perfect for you. The 4-core server comes with 1TB HDD storage, 4 to 16GB of RAM, with a price tag of $149 to $229 a month for annual subscriptions. For monthly subscriptions, the price goes up to $169 to $249 a month. The 12-core server comes with 2TB HDD or 240GB SSD storage, 16 to 64GB RAM, for $279 to $379 per month for annual subscriptions. For monthly subscriptions, the cost increases significantly to $299 to $399 a month. Other features common for both plans include RAID 1 storage, Ubuntu Linux OS, Full Root and Shell access, PHP/PERL/Python/Ruby support, and DDoS protection. We rate Dreamhost’s dedicated servers.We have them in our best dedicated servers list for 2018. DreamCloud packages are great for developers and entrepreneurs. They provide a dedicated platform to store and test apps and even let you deploy your own cloud servers. This platform gives subscribers customisable and scalable servers to store unlimited data and immense computing potential. DreamHost offers a public cloud computing service called DreamCompute and an object storage solution named DreamObjects in this category. DreamCompute gives you an open-source cloud server that you can customise to suit your needs. It provides full root access and open stack API access. DreamCompute is available at a minimal price of $10 per month with a 30-day trial period. These plans also come with other features such as open architecture, open stack, and Ceph support. You also have a choice of OS between Ubuntu, Debian, CentOS and Fedora. All the plans are managed through a simple web-based dashboard, have sturdy security protocols in place, offer high scalability, and have 24/7 support. DreamObjects offers flexible and sizeable online storage options for “personal backups, website and blog files, videos, music, podcasts and much more.” This open-source platform offers free uploads and API requests and comes with a fully integrated CDN. Let’s take a look at the DreamObjects plans on offer. These plans are scalable, allowing you to grow or shrink your storage as required, and are coupled with solid file protection and security. They are perfect for software developers who want to replace S3 or Swift functionality via API. It provides great WordPress support as well. If you are hosting a website for the first time, shared server hosting is your best bet. DreamHost provides a range of shared server hosting plans to suit various requirements. These plans come with unlimited storage, bandwidth, domains, e-mail accounts, and 24/7 customer support. Add on DreamHost’s 100% uptime guarantee, and the 100% money back policy to sweeten the deal. The shared server plans are based on the duration of services availed. The two-year plan costs $8.95 per month while the yearly plan is priced at $9.95 per month, and the monthly plan costs $10.95 per month. The company charges you nothing for the setup, for a new domain or for protecting domain privacy. Add-on services like SSL certificates, unique IP addresses, and premium support are charged separately. SSL costs $15 per year, unique IP cost $5.95 per month, and premium support costs $14.95 per month. DreamHost allows association with third party applications for building websites. Applications and platforms such as GertSimple, Pligg, concrete5, MediaWiki, Joomla, and WordPress are easily available to kick-start your website. E-commerce and e-marketing companies have a special advantage with DreamHost. CafeCommerce is a dedicated platform for web designers that supports building an online shopping website. A discount of $21.05 per month is offered with a shared web hosting account, as well as a 14-day trial period. It allows you to create webpages for any number of products, customise templates, and manage inventory. The procedure is as simple as clicking a button and you can start building your online store for free after installing ZenCart. DreamHost also offers site stats tracking via Chartbeat and $100 worth of Google Adwords credit. DreamHost offers a number of TLDs or Top Level Domains that you can use to spruce up your web presence. Some of the most popular TLDs available through DreamHost right now are .expert, .xyz, .guru, .ninja, and .today. A full featured, custom-built control panel is probably one of the best features a hosting service can have. DreamHost has spent 12 years building and fine-tuning their web-based control panel so that it is as intuitive and user-friendly as possible. It lets you change your hosting plan, modify payment methods, control FTP access, make new email accounts, purchase new domain names, and do numerous other things as well. Data security is every user’s highest concern and DreamHost does take care of the user data they collect, but only to a certain extent. It has various programs to secure the servers, however, not all of them are that well defined. They currently provide SSL certificates, IP-based restrictions on the control panel, enhanced user security protocols, and SSH key fingerprints to secure user data. DreamHost allows subscribers to manage the subversion of code based on the access rights a user has. This allows subscribers to create a repository for their code. A money back guarantee is a great way to win over customers. It shows how confident the service provider is in their service and how committed they are to ensuring customer satisfaction. DreamHost has a flexible, money back guarantee that lets users cancel their subscription within 97 days with a full refund. Now that we’ve seen the advantages and features, let’s take a look at the disadvantages that we’ve noticed with DreamHost services. DreamHost doesn’t support Windows Servers. If you are looking for Windows Server hosting, look elsewhere. They focus singularly on Linux servers and are great at it, but have no Windows servers at all. Another important drawback of DreamHost is the customer support. Though the customer support’s knowledge base is good, it’s somewhat slow.. None of the contact methods gives you instant customer support, including the online chat. Telephonic support is limited to subscribers of their premium and dedicated server plans and is not available for all their users. Their security plans are not that well defined so that is always going to be a nagging issue for subscribers. While exploring the features of DreamHost, the picture looks very positive. The company focuses on providing fast and reliable services, and with a 100% uptime guarantee, you are assured that your website won’t go down. Their plans are very well thought out and offer great value for money. The money back guarantee is a great sign of their confidence in their services and is excellent for trying them out before committing to their services wholeheartedly. The pricing is very practical compared to the benefits, but the lack of Windows Server hosting, and lack of telephone support are a considerable trade-off. If you’re looking for reliable Linux based hosting, DreamHost should be able to fulfil your requirements with ease. Are you using DreamHost services right now? In your opinion, what are their major strengths and weaknesses? Let us know in the comments below, and thanks for reading! I think high traffic and high performance shouldn’t be synonymous with having to buy a dedicated server option. There are other solutions available on the market right now shared hosting with the ability to adjust and scale resources. I have this solution at dhosting.com where my server adjusts its resources from a base of 1 GHz CPU 1 GB RAM and 50 GB SSD up to 24 GHz CPU 64 GB RAM and 1000 GB SSD without ever needing to do anything because it does it automatically. I think this is the best option for me because I can have a lot of traffic at different times of the year while I maintain a low view count.